Imagine being a 17 year old who doesn’t remember anything since you were aged 10; no recollection of who you are or that you have grown into a beautiful young woman. You have no short term memory & forget everything within hours. 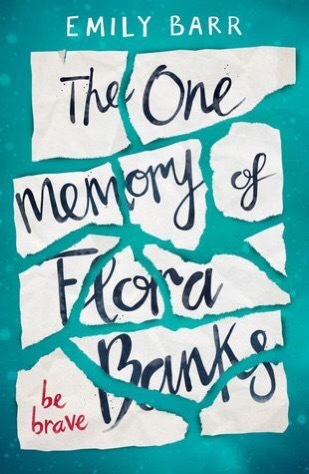 This is what life is like for Flora Banks. Supported by her family and only friend, Flora looks to the notes scribbled on her arms to remind herself when she needs reassurance – “Be Brave” She is unable to retain memories until one night she kisses a boy and she doesn’t forget. Could her condition be getting better? This is a beautiful adventure story which takes us to a faraway place & you cannot help but fall in love with Flora. Her memory loss and the repetition needed to move the story forward should be annoying but it’s absolutely not. Instead it gives us a touching insight into Flora’s world and helps us invest even more in our unlikely and unreliable hero. A great read for those who love adventure and who believe that first kisses are unforgettable – four cwtches.